IWTYAL 193: What do you think of the ESL industry? Good morning everybody, welcome back to the, I Will Teach You a Language podcast. Today's an interesting one, I've got a feeling I'm going to get myself into a lot of trouble with my podcast today but I kind of at the same time I really want to answer this question that's coming. So I'm going to do that and I'm going to do it in a very open and honest way and I will gladly accept any feedback or criticism or disagreement that comes in because it's an interesting discussion. I think a discussion that's worth having. What are we talking about? Well we'll get into that just in a second. 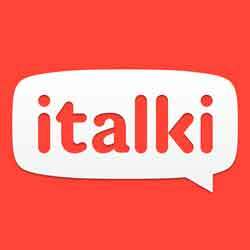 Before that I'd like to thank the sponsors of the show, the wonderful iTalki, which is a great place where you can find teachers in virtually any language and get lessons in the language over Skype online. If you'd like to get a free lesson you can go to iwillteachyoualanguage.com/free lesson. Now this whole topic relates to an email question that I received from Paul and Paul I think is Australian, based on how he opened the email to me. “Good day Olly,” he's learning two languages, got quite a bit of experience at language learning from what it looks like and he's thinking about getting a CELTA qualification. Now CELTA is the Certificate of English Language Teaching to Adults, run by Cambridge University here in the UK. It is in my opinion, the best language teaching qualification there is for English language teachers. And Paul says that he has been looking at the certificate and he's thinking about maybe getting a qualification in English as a second language. Alright, now for those of you don't know, I used to teach English for many years. I'm actually super highly qualified as a teacher, did the CELTA, also did the DELTA which is the next level up; then went on to do a Master’s degree. So I've got a fair amount of experience in this and I've taught English in three or four different countries around the world. I haven't done it for some time but I've got a lot of experience with the industry. What was always interesting for me was that I took that up and I began teaching, having already learned a lot of languages. I'd learned like four or five languages by the time I started teaching English. So I went through this journey of learning languages myself, being an autodidact, self-teaching myself languages and then going into the classroom and seeing how it all works. But the basic problem with the ESL industry is that it doesn't work like that because you have a classroom with 10, 20 or even more students in the room and so what you've got is a fundamental gap in methodology and approach. If you're learning by yourself then you can control your own learning and the way that you set about studying, providing you've got a decent amount of awareness you can study to the best of your ability. However, as a teacher the challenge no longer becomes- the challenge is no longer like what's the most efficient way to learn a language? The change is something very different and it is, how do I teach 20 people sitting in front of me in the most efficient way? Now in an ideal world what I would do is I'd sit everyone around and I'd talk about language learning. I'd say, “Right, what's the best way to learn? How can you improve your speaking? How can we learn vocabulary? Let's look at some memory techniques and talk about this stuff because that's the really empowering stuff,” but it doesn't work in the ESL classroom most of the time. And the reason is, most people who come to language school and I'm going to go out on a limb here and I might get some criticism for this but generally, the people who go to language school are among the less motivated language learners out there. Why do I say that? Because the most motivated language learners never set foot in a language school generally because they are learning by themselves, they're self-teaching like I always did. Now obviously the fact that people get themselves to language learning- to language school in the first place, is a good sign, it's better than doing nothing but often what I would experience as a teacher, is the students would come and they'd say, “Right, okay I paid a bunch of money for 30 hours' of lessons. Now teach me teacher, like open my brain and pour in the information.” They kind of abdicate responsibility, they think that because they go to the classroom for three hours a week, they will learn but of course it doesn't work like that. So what happens is that a lot of students have this mentality of, “Right, I'm gonna learn English,” or whatever it is, “but I'm only going to do it in the classroom. Three hours a week, that's great, I can learn English that way,” and as soon as they leave, they don't do anything else. Which means you have to then use class time to give the students the only exposure they're going to get to English during the week. So then what do you do? Do you spend time speaking yourself as the teacher in a lot of what you call teacher talk time, teacher talking time, TTT? Do you have that? Well some people would say, “Yeah, teacher talk time is great because that's the only time the students are going to listen to English during the week,” but then of course that means the students get less time actually speaking if they're listening to you all the time. So you have to turn it around and you have to give students speaking practice time and that is with other learners in the class, not native speakers. Then you think, “Well okay, surely we should be doing a bit of reading as well because otherwise they will never read,” and so you've got a typical picture of the English- of the ESL classroom. It becomes one huge compromise, it becomes a kind of problem solving case of like, “Okay, here are all the things you could and probably should do to learn a language; listening, speaking, reading. Now let's try and fit those in, in a kind of balanced way in the classroom.” And that is really ultimately, when all is said and done, the only way that most teachers can approach teaching English because you have to deal with the reality of the classroom and you have to do deal with the needs of the majority. So if you get a very motivated student who comes to your class and they really want to learn and they do a lot of homework and they go out and they practice, often that student will get frustrated by your class because everybody around them doesn't do that. Everybody else just like thinks, “Okay teacher. Teach me please.” And they- so the class time is used for things that will be better done at home. So what I've tried to describe here is the kind of basic tension that any independent language learner will feel becoming a teacher and that's what I meant when I said that I have kind of- like my career as an English teacher was really spent trying to maximise a very undesirable situation and make the most of something that really shouldn't be there in the first place. Like I said, ideally I'd sort of grab people by the scruff of the neck and I'd say, “Look, what did you do this week? How much did you study? How many hours? What did you do? Who did you speak with? Tell me, fix it, now go off and do better this week.” The role of a teacher has to be to empower students. So I would do stuff like that, I'd give them my best advice and say, “Look, you really have to do this,” but then inevitably the reaction from everybody is, “Yeah but I don't have time, I'm busy. Like I come to English school to be taught, to learn. I don't want to do stuff by myself.” So this is kind of big tension and I remember chatting with my friend Alex Rawlings about this because he did a CELTA a few years ago and spent a very short time teaching. He didn't get on with it very well I don't think because he found many of the same problems that I had. When you do a CELTA you're taught to, for example, help students to do reading in class. So your students would come to the class, you'd give them a reading text in class time, they would read it and then you would ask them questions and you'd teach them stuff from the text. And I remember Alex describing this to me and we kind of acknowledged that this is a very, very inefficient use of class time. Now you're paying good money to come and have time with a teacher or have time with other students to practice with. So why would you want to come and actually spend class time reading texts or listening to audio? It doesn't make sense, you should do that stuff on your own. You do the heavy lifting heavy at home by yourself in a focused environment, when you've got time to sit down and really concentrate on something. The best way to use a teacher is then to get feedback and discuss things, going into depth of the language but of course because most of the students will never do that, the only option you've got left is to actually deal with that and give students that reading practice or speaking practice or whatever in class time. I could go on but this is the problem. Now does that mean that it is better not to do a CELTA and become an English teacher? Well, the answer is obviously no because I had lots of students and I had a really great relationship with a lot of my students and so many classes that I had, I'd feel that I impacted their life really positively. Many students would say that they really liked my lessons and they really liked me as a teacher and that's really good. I mean that's great because I would much rather have this positive influence on people's lives than not and if I can inspire them to go off and make English a better or a greater part of their life, then that's a job well done. That is in spite of the fact that I would always have in the back of my mind, this basic problem which is that I knew that I wasn't being the most effective teacher that I could be because of the inherent restrictions of the environment and the setup of the classroom. Now there are a whole host of other issues and considerations here which is that, we could talk back and forth and discuss the merits of this approach and the benefits of this methodology and there are ways to get to a vision or a concept of a classroom, which is a very good effective classroom for language teaching. I would love to have that discussion with people, in fact if you are an experienced English teacher and you've got strong thoughts on what I'm talking about here, let me know, get in touch. Maybe you can come on and we can have a conversation about this on the podcast. But you see, often what the shadow that looms in the background is that of the institution that you work in because whatever your thoughts about language teaching theory or methodology, there are certain realities of work which usually put a stop to all of that before we can even get started. Basically, the school you're working is going to want you to teach a certain way with a certain kind of textbook and in a certain style, cover certain parts of the textbook in so many weeks and you don't get a say over that most of the time. So all this kind of discussion about the best way to teach often is just academic because the realities of working as an ESL teacher mean that you usually- you might have some freedom but it's usually within a very, very tight constraint. So I hope I haven't painted an overly negative picture here. There are teachers around the world who do great work and who are inspirations to their students but the question is- the question was, what are my views on the ESL classroom when compared to and seen in the light of what's possible as an independent language learner? And so what I've try to do here is outline what I consider to be the main challenges and drawbacks. It's difficult for me to extrapolate from that an answer to the question, “Should I get a CELTA certificate?” I think it's a different set of questions really. It's more of a life choice. What I would say Paul, is that I wouldn't change it for the world. The CELTA was- that the four weeks or whatever it was, six weeks I spent on the CELTA was the most fun time of my life. I made friends for life, I had a great time, I had some amazing students and as a result of that, I went off and travelled the world. I went to live in Japan. I started working for the British Council. I then went with the British Council to Qatar and to Egypt and had all these different experiences. I did a DELTA and I did a Master's and I met all these amazing people. I learnt so much about language, language learning and linguistics and life as a result of all of that. So I wouldn't change it for the world. Now that's not to say that I wouldn't make some pretty serious changes to a language- to an ESL classroom if I could but you know, that's what we're dealing with. I think it's a wonderful career to have, not the best paid. You're not going to be getting rich doing that but it's a very human pursuit and it's extremely rewarding and it will be an extremely positive experience in your life and I guarantee that you won't regret it if you approach it with an open heart. So in spite of all of my reservations, methodologically and ideological; I had a great time and I'm very, very pleased I did it. So thanks Paul for your question. If you would like to leave a comment on what you've heard today, then I would love to hear from you. You can go to iwillteachyoualanguage.com/episode193. Don't be shy, leave a comment; let me know. Tell me if you disagree with me, give me your experience and your input. I know many teachers listen to the podcast, so hopefully this will be some food for thought. And you know, I'm just really grateful that I can spend my time talking about these things that I care about and exploring these in some depth. So that's what I've got, have a great day. Thank you so much for listening to today's episode. I really hope you enjoyed it. You know, one of the questions I get asked most often about language learning is how to improve your memory because things get so much easier when you learn new words and you don't forget them later in conversation when you really need them. So what I decided to do was to put together a short email course, it's a three-part email course over three days that teaches you my favourite techniques for memorising vocabulary and actually putting that vocabulary into your long term memory. It's a short course, three days, it's completely free and if you'd like to sign up for it please go to iwillteachyoualanguage.com/freememorycourse.